We had one day in Munich before the end of Oktoberfest. We were in a very festive mood. We woke up at 2pm – exhausted from our various trips. 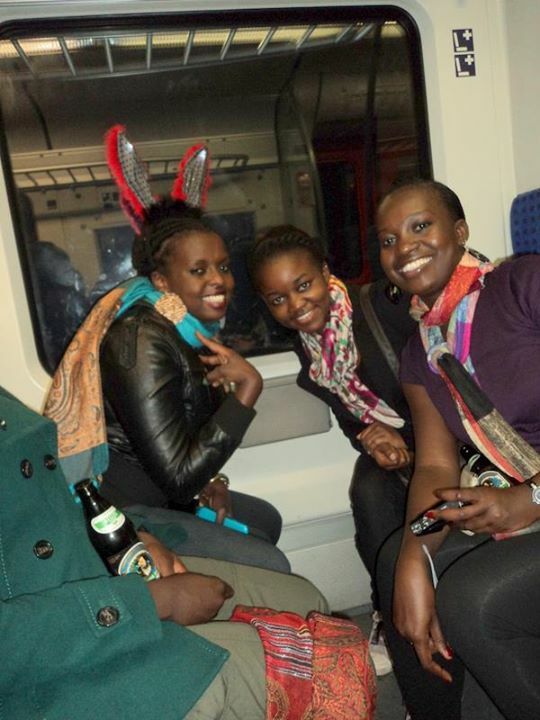 One of our close friends from Nairobi arrived shortly after – she would be joining us for the second part of the trip. Her pseudonym will be “The Lady.” “The Safety Net cooked up a storm. We ate to our heart’s content and went out clubbing later to Pimpernel – We had a lovely time and got home quite late. · Me having a mini-meltdown and yelling at my friends when I started feeling frustrated – like I had to be responsible for everything given I was the organizer of the trip. “I am not your mother! People need to start being responsible for themselves – you can’t expect me to know everything, do everything, tell you everything, have all the directions etc.” It was not pretty - especially because I was inebriated, likely slurring and repeating the same thing over and over, but we had a debrief the next day and after that I felt that people were being more responsible for themselves. I can’t really blame them though because I also know that when someone takes charge it becomes very easy to just go along with the flow and not feel the pressure to know anything/do anything for yourself. How many times have I been driven somewhere and not bothered to note the directions given someone else is doing it for me? It’s human nature. · Getting home at 7am, packing in a state of drunkenness and us heading off to the train station – Paris bound.